UNDATED (AP) – Alabama and Florida are at the top of the season’s first BCS standings, making it yet another all-SEC top two, with Oregon and Kansas State close behind the Gators. The Crimson Tide in first was no surprise. Alabama is an overwhelming No. 1 in both polls used in the BCS formula. Florida in second was less anticipated. The Gators are No. 3 in the polls, but rated best by the computer rankings that gave them a slight edge over Oregon and Kansas State when the numbers were crunched. 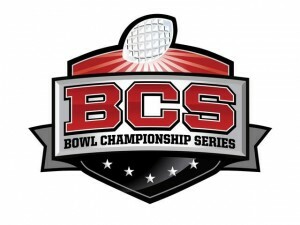 Florida’s BCS average is .9092. Oregon’s is .8993 and Kansas State’s is .8963. Notre Dame is fifth and not too far back at .8774. Despite the strong showing by the Southeastern Conference, another all-SEC national championship game is still a long shot. Oregon’s schedule is back loaded with strong opponents and the Ducks will likely be able to close the gap in the computers if they keep winning.